According to a report, Tata Motors is set to launch a new micro-SUV by 2021. This SUV is codenamed the Hornbill or X445 as earlier reports have stated and will compete with the likes of the Mahindra KUV100. The Hornbill will be based on the new Advanced Modular Platform that Tata is working on. This will also underpin the upcoming 45X and also the sedan version of that hatchback. Powertrain options can be expected to be carried over from the Tiago hatchback and a similarly aggressive pricing strategy is also something Tata will look to achieve with this SUV too. The Nexon has been a strong seller in the sub-four-metre compact SUV space. But with most manufacturers looking to grab a piece of that segment, it makes sense for car makers to repeat this same formula at a lower price point with smaller. This will make the already popular SUV body style even more accessible to buyers of an entry-level hatchback. Maruti Suzuki will be entering this space as well with the Y1K. 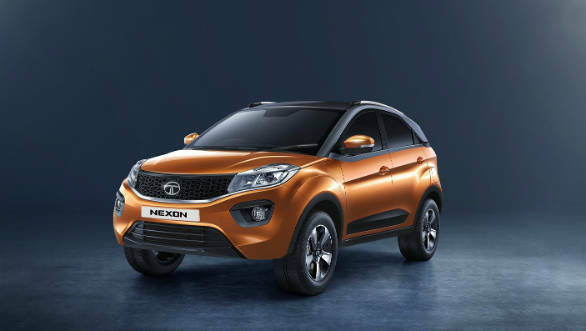 Mayank Pareek, president of the passenger vehicle division at Tata Motors, declined to comment on the company's product plans, but said the opportunity for small SUVs was huge. He said people who have been purchasing hatchbacks for years will be looking for an upgrade. India sells over 1million hatchbacks every year and for the almost 58% of the owners who replace their car every six years, the micro or small SUV becomes a good alternative.